Ann Douglas is the author of The Mother of All Pregnancy Books and the other titles in Canada's bestselling pregnancy and parenting book series -- The Mother of All Book series. 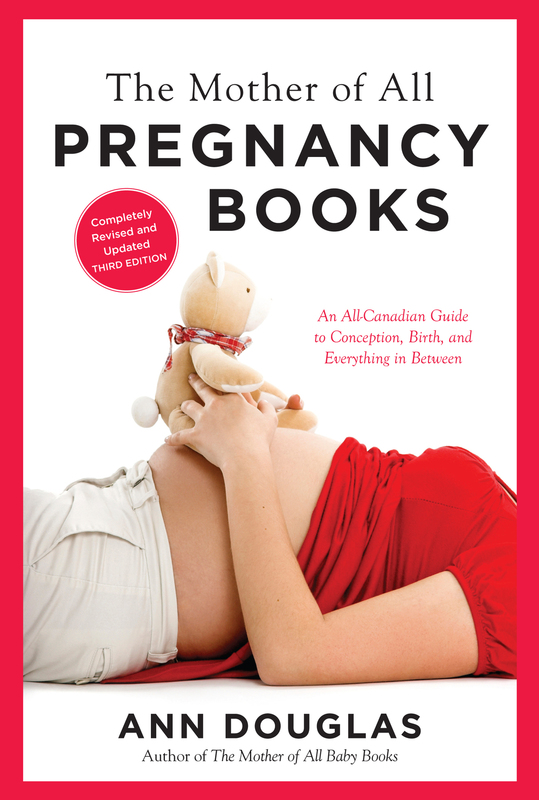 Canada's bestselling guide to pregnancy. The Mother of All Pregnancy Books (3rd Canadian edition, May 2015) (2nd US edition, June 2012) (2nd Canadian edition: June 2011) (1st US edition, 2002) (1st Canadian edition, 2000). This bestselling pregnancy guide includes chapters on preparing for motherhood, planning for a healthy pregnancy, coping with various pregnancy-related aches and pains, and making informed choices about your baby's birth. Written in a friendly, almost conspiratorial, mom-to-mom tone, you won't want to go through pregnancy without this book. "Douglas writes about pregnancy in an easy, girlfriend-to-girlfriend style....The book's strength is its woman-centeredness, all the way from the twinkle in the eye to postpartum," says Today's Parent. "A book that lives up to its name...Incredibly comprehensive yet easy to follow," writes the Chicago Tribune. Resource Guide for the 3rd Canadian Edition. 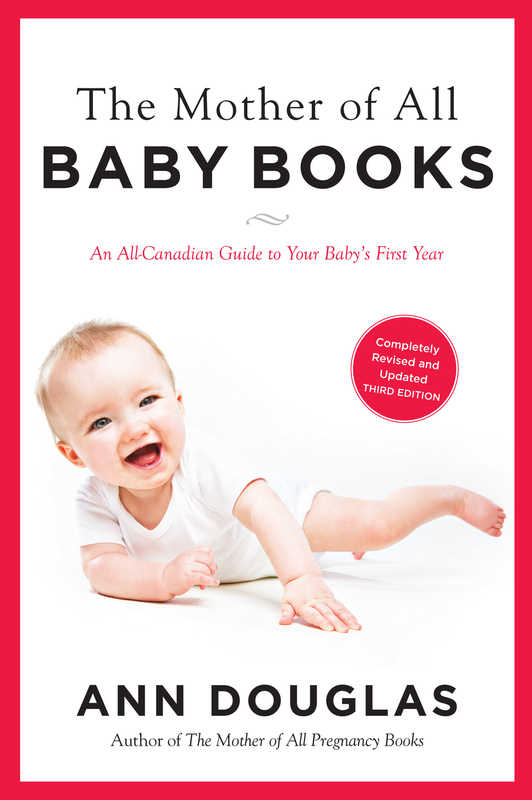 Canada's bestselling guide to bringing up baby. The Mother of All Baby Books (3rd Canadian edition: May 2015) (2nd Canadian edition: October 2012) (Canadian, 2002: Print | Kindle | eBook) (US, 2002). Contains chapters on planning your babymoon, getting to know your new baby, coping with the most common new parent worries, new mom stress, your postpartum body, postpartum depression and mood, the baby blues, sleep (yours and baby), crying, colic, infant behavior, common illnesses, infant development, and all the other important topics you would expect to find covered in a comprehensive, critically acclaimed guide to baby's first year. But what makes The Mother of All Baby Books unique and powerful is the fact that it reads as a dialogue between mothers, supplemented with need-to-know reference material presented in handy charts and checklists. "Indispensable! Every mom and dad should be issued a copy of this book at the hospital!," say Denise and Alan Fields, authors of Baby Bargains. Resource Guide for the 3rd Canadian Edition. The Mother of All Toddler Books (Canadian, 2003) (US, 2004). The ultimate guide to coping with sleep problems, crying, biting, hitting, whining, day care problems, temper tantrums, potty training, food jags, and other toddler rites-of-passage. You'll also find out about important toddler year milestones, toddler games, arts and craft ideas, activities, ways to encourage your toddler's speech and language development, and how to connect with your toddler. "Informative and sensible? Who needs Dr. Spock with [Ann] Douglas around?" writes Multiple Moments. The Mother of All Parenting Books (Canadian, 2004) (US, 2004). Parenting is the toughest job on the planet, and The Mother of All Parenting Books is the book no parent should be without -- a no-nonsense guide to all the perennial parenting hot topics from preschool through the preteens, including discipline, sibling rivalry, teaching values, encouraging academic success, promoting effective communication, avoiding parent burnout, raising children with special needs, and bullying. This comforting instruction manual is packed with practical strategies, handy checklists, and parent-tested advice designed to empower you to develop a parenting style that works best for you and your children. The book includes a first-aid guide, a directory of key parenting organizations, and answers to all your key medical questions, vetted by health authorities. "This book has all the answers that are missing from other parenting books. It's honest, complete, well-researched, and it's not preachy," says Dr. Cathryn Tobin," author of The Parent's Problem Solver. The Mother of All Pregnancy Organizers (2004). The ultimate guide to staying organized during pregnancy and keeping track of all those memorable pregnancy milestones. The perfect companion to the bestselling The Mother of All Pregnancy Books. This beautifully-designed spiral bound organizer features dozens of checklists, schedules, and hints designed to keep you on top of all aspects of your pregnancy; timely reminders for important milestones; expert guidance on every page; and space to record events, notes, and thoughts. The ultimate baby shower gift or Mother's Day gift for any mom-to-be. The Mother of All Three-Book Bundles (Canada). A three-book e-book bundle featuring The Mother of All Pregnancy Books, The Mother of All Baby Books, and The Mother of All Toddler Books (Canadian editions) for one incredible price: $19.98. Available from your favourite e-book retailer: Kindle. Kobo. Apple iTunes. Mealtime Solutions for Your Baby, Toddler, and Preschooler (2006). Get the facts you need to feel confident about feeding your baby, toddler, and preschooler from birth on up. Key topics include breastfeeding, making the transition to solid foods, starting baby on table foods, dealing with picky eating, food jags, dining in and dining out, planning healthy meals, and feeding a sick child. Includes meal planning and nutrition tools and a convenience food decoder. Developed in consultation with a registered dietitian and a panel of other experts. Sleep Solutions for Your Baby, Toddler, and Preschooler (2006). The book is designed to help you to make sense of all the conflicting sleep advice that has been coming your way since before your baby was born: the first step to becoming a less stressed and better rested parent. You'll find parent-proven solutions for tackling baby, toddler, and preschooler sleep issues, including reassuring words about what's simply age-appropriate sleep behaviour for children at each age and stage. Developed in consultation with the head of sleep medicine for a leading pediatric sleep clinic. "No mother should have to lose sleep over sleep again," says Andrea Buchanan, author of It's A Girl: Women Writers on Raising Daughters. The definitive guide to raising a child who is struggling with a mental health, neurodevelopmental, or behavioural challenge. 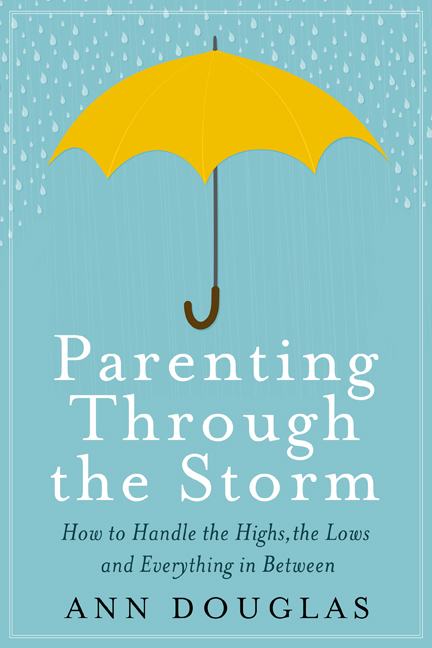 Parenting Through the Storm: How to Handle The Highs, The Lows, and Everything In-Between -- a book for parents who have a child who is struggling with a mental health, neurodevelopmental, or behavioural challenge (HarperCollins Canada, 2015). Visit the book website. Trying Again: A Guide to Pregnancy After Miscarriage, Stillbirth, or Infant Loss (2000) (with John R. Sussman, MD). A compassionate guide to pregnancy after miscarriage, stillbirth, and infant loss. Excerpted in the September 2000 issue of Canadian Living magazine and spotlighted on Canada AM. Co-written with Connecticut obstetrician/gynecologist John R. Sussman, M.D. The book features both medical information on the causes and treatment of the most common causes of pregnancy, miscarriage and infant death and information on dealing with the emotional challenges of pregnancy after a loss. The book features numerous interviews with parents who have conceived again after a loss. The Complete Idiot's Guide to Raising Money-Smart Canadian Kids (1999) (with Barbara Weltman). The ultimate guide to teaching kids about money. Featured on numerous radio shows. Family Finance (Canadian, 1999) (American, 2001) (American edition co-authored with U.S. financial planner and author Elizabeth Lewin). A family-friendly guide to financial planning. "Read it before you apply for a mortgage, shop for life insurance, or add to your credit card balance," says Holly Bennett, former Editorial Director, Today's Parent Group. "Read Family Finance as soon as your pregnancy test turns positive!" says Parenting magazine contributing editor Paula Spencer. "More things than your sleep schedule change when you have a baby. From buying the nursery to paying for college, this book offers priceless advice." The Unofficial Guide to Childcare (1998). A comprehensive guide to choosing childcare for your baby, toddler, preschooler, or school-aged child. The book the Chicago Tribune described as "the childcare bible." Body Talk: The Straight Facts About Fitness, Nutrition, and Feeling Great About Yourself (2002) (with her daughter Julie Douglas). A body image book for girls ages 9 through 13. Before You Were Born: The Inside Story (2000). A child's guide to prenatal development. Features a series of kid-friendly science experiments designed to teach young children about life before birth. The "pre-quel" to Baby Science. The Family Tree Detective: Cracking the Case of Your Family's Story (1999). Cracking The Case of Your Family's Story by Ann Douglas (Owl Books, 1999) A fun guide to genealogy for kids ages 8 through 12. Features a variety of hands-on activities designed to encourage kids to "climb" their family tree. Baby Science: How Babies Really Work (1998). A child's guide to baby's first year. The ideal gift for children with a new sibling on the way. Chosen as a Book of the Month Club selection for both Canada and the U.S.
Canuck Chicks and Maple Leaf Mamas: Women of the Great White North (2002). Think Mondo Canuck, but for women. A fast-paced tour of two centuries of Canadian history and pop culture that focuses on landmark moments in the lives of Canadian women, including the invention of the electric refrigerator, the tampon, the miniskirt, the Tupperware party, and the birth control pill. The ultimate estrogen-powered romp through Canadian history and pop culture for Canuck chicks of all ages, the book also contains extensive material on the history of childbirth, the history of pregnancy, and the history of motherhood in Canada. Sanity Savers: A Canadian Working Woman's Guide to Almost Having It All (1999). The working woman's survival guide. "An excellent resource for women who are desperate to restore some sanity to their too-busy lives," according to Cheryl Embrett of Homemaker's magazine. The Incredible Shrinking Woman (2000). A real woman's guide to weight loss. Highly recommended by the nutrition columnists for both The Toronto Star and The Toronto Sun. The Complete Idiot's Guide to Canada in the 60s, 70s, and 80s (1999). A fun look back at Canada during three of the most fascinating decades of the twentieth century. Includes photos of such noteworthy Canadian newsmakers as Pierre Trudeau and Paul Henderson. The Complete Idiot's Guide to Curling (with her father, Rod Bolton) (1998). A beginner's guide to curling. The Complete Idiot's Guide to Canadian History (1997). A basic and easy-to-read guide to Canadian history that covers the period up to the Quebec referendum. For details about print and e-book editions of Ann's books and her various contributions to anthologies about motherhood, please visit GoodReads.com.